Our ShockStrap Soft Ties are made of 1” Polyester webbing and are approximately 18” in length. The 1” Polyester webbing has a 3800 lb breaking strength and 1100 lb working load limit. Polyester webbing is superior to Polypropylene webbing and stretches less, is more resistant to rot and mildew, has a higher strength rating and a softer feel in your hands. 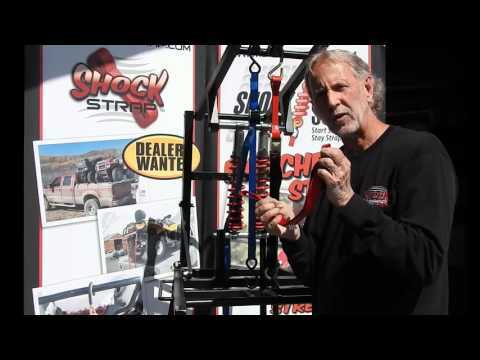 The goal of our product is to use the figure 8 design to wrap around handle bars or along the edge of a trailer and insert the ShockStrap hook to secure your load without scratching anything. Durable – The ShockStrap Soft Tie is of 1” Polyester webbing which is a superior webbing that will last longer under UV conditions.